Recently I spent a few days down the coast working on the beehives and the garden. 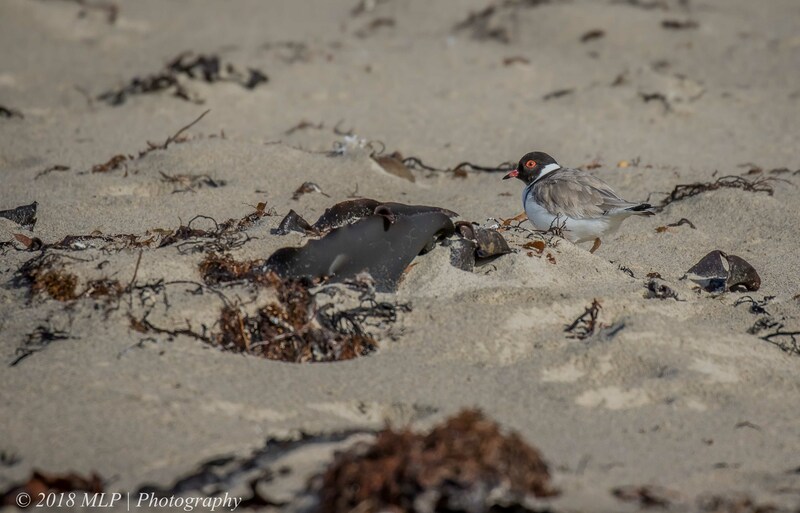 Each morning I visited a different spot on the Peninsula for a bit of bushwalking and checking on the local birds. 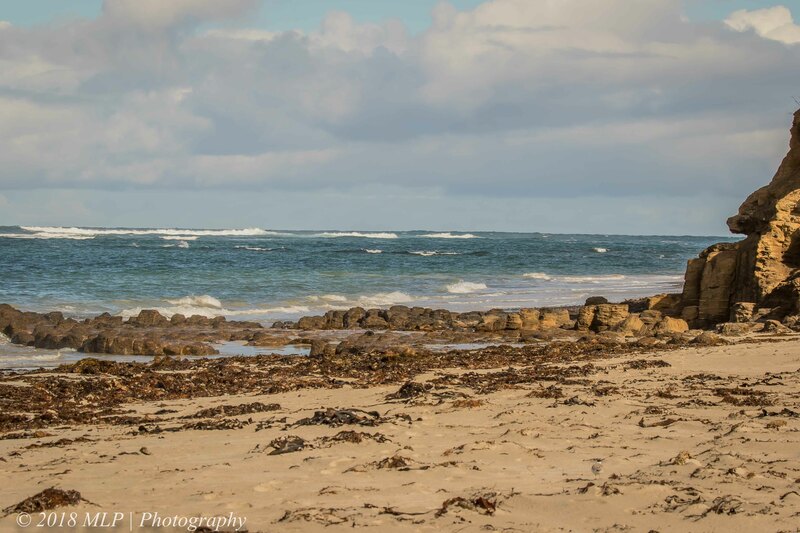 On the third day I decided to revisit Flinders Back Beach – the scene of an old financial crime – I got my camera wet in strong winds and drizzly rain. $650 later my camera was repaired and a $40 camera rain cover purchased – lesson learnt. On this occasion it was again drizzly and the camera cover went straight into action. By the time I was on the beach it was sunny. 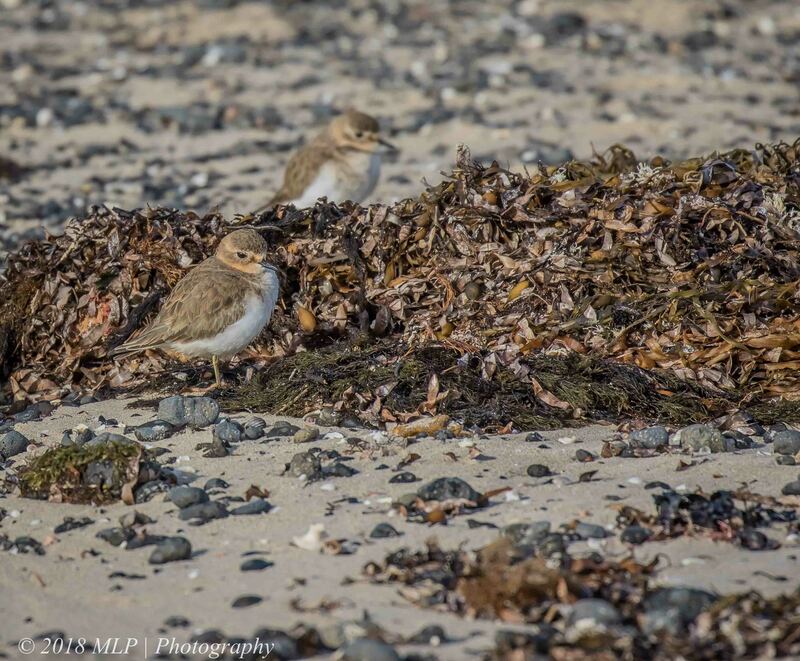 Almost immediately I found a small mixed flock of Red-necked Stints and Double banded Plovers. 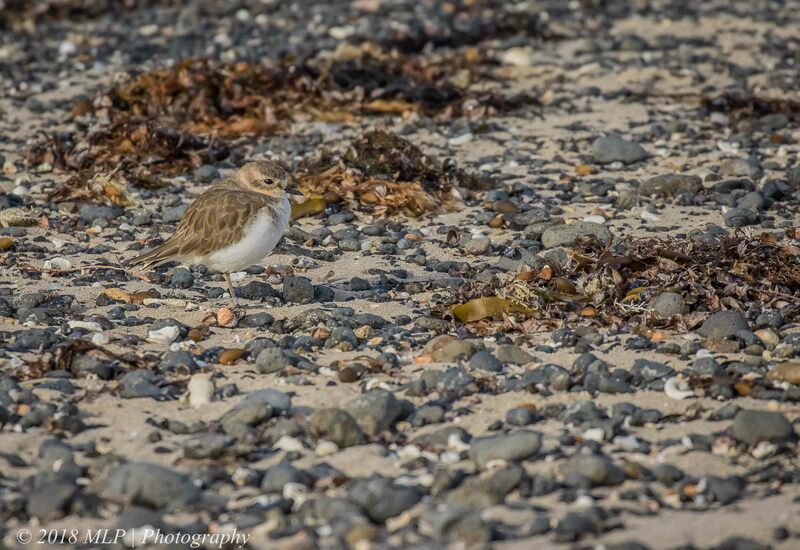 After a while, watching, counting and photographing the flock, I walked around the point looking for the resident Hooded Plovers – now becoming rare on many beaches in Victoria due to increased disturbance, natural predation and people walking their dogs off lead. I usually see a few Hoodeds but this time I only found one adult. I hoped that a few more were tucked down into the beached kelp out of the cool winds. 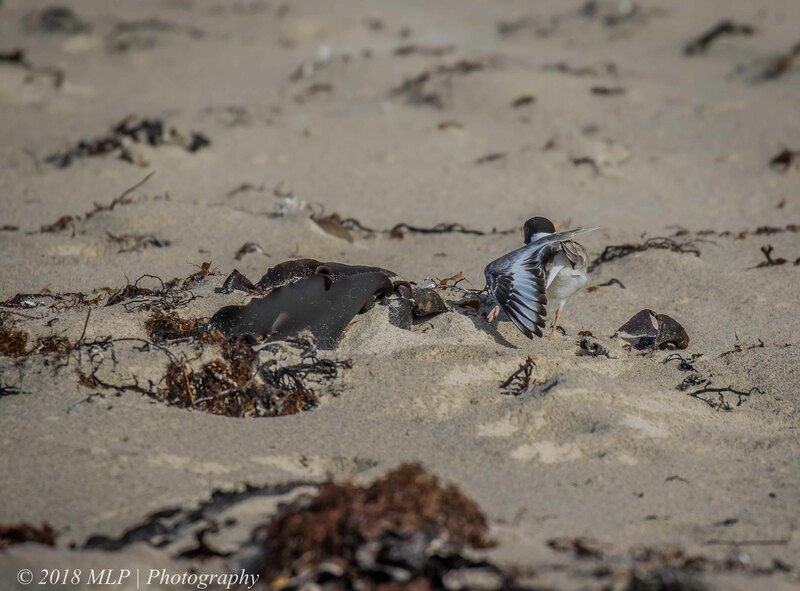 This entry was posted in Birds, Victoria and tagged Australia, Australian Birds, Bird Photography, Double Banded Plover, Flinders, Flinders Ocean Beach, Hooded Plover, Mornington Peninsula, Nature Photography, Photography, Victoria. Bookmark the permalink. What amazing shots Malt, so wish I could have seen these birds, they are so not common. I am amazed my camera has survived rain, and often wonder when it will get affected by rain, I have dropped it a couple of times when I fell over trying to catch a frame or two, but it keeps working minus a lens hood, which are sold at ridiculous prices. The double banded was a great find, I have never seen this one, I will have to get down that way again in the near future. 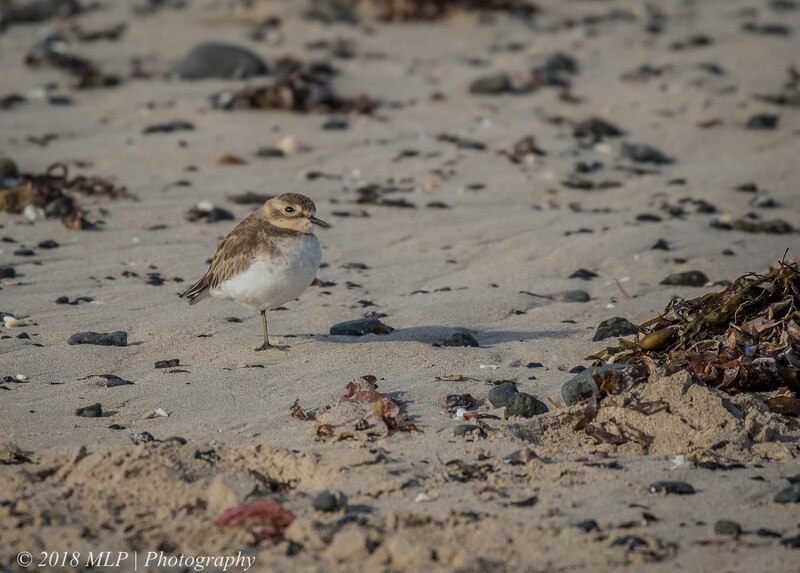 thanks Ashley, there a few good spots for the DB Plover along the coast. And I also hope there were some more Hoodies hiding away there! Thanks Emma, no props on the camera, the 7dMk2 is supposed to be one of the best weather proof cameras however not when you use a black rapid strap and hang it up side down…I will revisit Flinders in a few weeks and see if I can find a few more hoodies….